While provoking a rethink on approaches, attitudes and perspectives in the context of one's social reality through a wide range of participatory tools, activities and methods, our workshops are a journey - an intense process at introspection, self realisation, group engagement, collective and open sharing - towards reflection, action and transformation. With a focus on cultural action and social change, our workshops analyse the dominant power relations, the resulting "culture of silence" and explore rights, gender, participation, communication and facilitation as cross-cutting themes. Our national-level workshops have been attended by participants from a wide range of organisations. 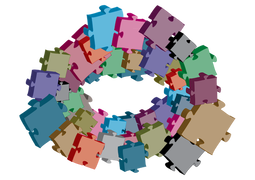 Workshops are a great way to bring people together - to reflect, share, discuss, dialogue, unlearn, challenge attitudes, build new skills and plan way forward. We facilitate wo﻿﻿rkshops with groups and communities (children, adolescents, young people, women),﻿﻿ community-based organisations and movements (members, leaders and ﻿﻿activ﻿﻿ists), academic institutions (students, faculty) and government functionaries. conceptualising, facilitating, handholding ​and documenting learning processes. In partnership with Foundation for Ecological Security (FES), a nine-month long process that involved learning needs assessment, two residential workshops of six-days each on capacity building of team members and community leaders (farmers), providing handholding support and designing communication resources. In partnership with Bharat India Jodo, Reliance Foundation, facilitated a series of workshops for their team members from across the country and community leaders (representatives of farmers groups) - in Madhya Pradesh, Maharashtra, Rajasthan and Uttarakhand. Anju has been facilitating workshops for the Youth Fellowship initiative of PUKAR for more than five years now. Conceptualised and facilitated visioning workshops with team members and partner organisations of Salon-i programme of Godrej Good & Green in 2015, 2016 and 2017. Facilitated a visioning exercise with team members of Youth4Jobs from across the country on a rights-based approach to skills training for persons with disability (PWDs) at Hyderabad. Facilitated a visioning exercise for the Beautypreneur programme, with partner organisations of Godrej Good & Green. 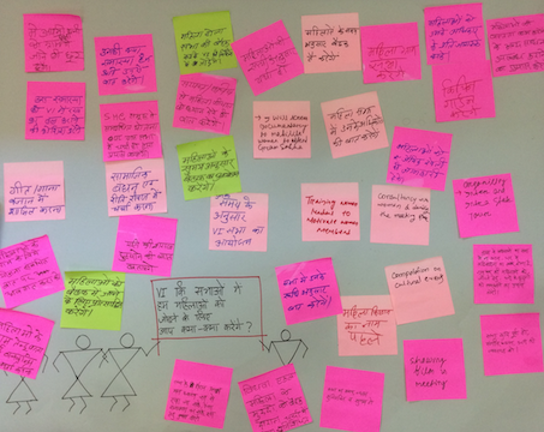 Facilitated a visioning exercise for Gender Resource Centres, with partner organisations of Godrej Good & Green. Facilitated a five-day residential workshop for team members of partner organisations of UNICEF and district administration of Sivasagar, Assam. Design and development of a handbook on Child Rights and Child Participation for UNICEF Assam, followed by capacity building of team members from Kasturba Gandhi National Memorial Trust (KGNMT), Krishna Kanta Handiqui State Open University (KKHSOU) and Sadou Assam Moina Parijat (SAMP) at Guwahati, Assam. Facilitated a workshop on Child Friendly Panchayats with children and young people, together with team members of Sadou Assam Moina Parijat (SAMP) and North East Social Trust (NEST) in Golaghat district, for UNICEF Assam. Facilitated a 10-day residential workshop with children and young people in Sarguja district as part of the Children As Media Producers initiative of University of Hyderabad and UNICEF Chhattisgarh. Facilitated a state-level consultation - Empowered Children : Inclusive Development - with key stakeholders on strengthening child participation in Bihar. 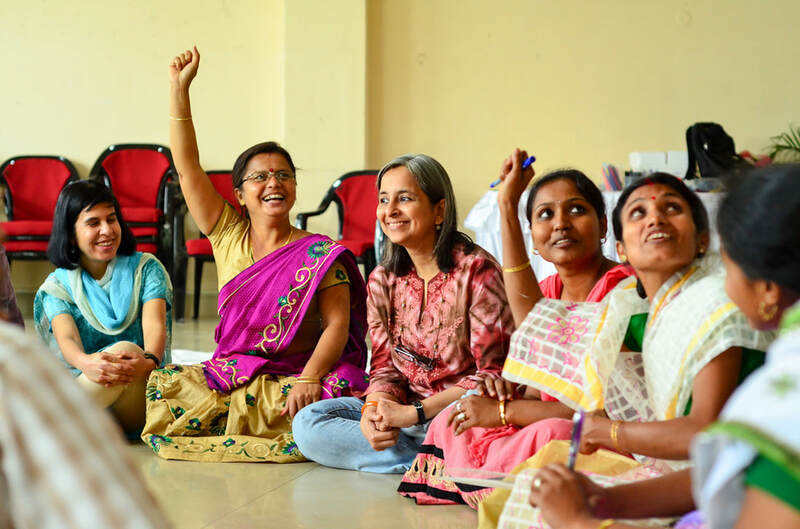 Over the last five years, facilitated over 20 workshops on gender, life skills and facilitation of communication resources for programme managers and skills trainers from partner organisations of Godrej Good & Green.